Each presentation room will be equipped with a laptop computer and a projector (16:9 aspect ratio), connected with a VGA cable, for PowerPoint presentations. The available software may also allow for other types of presentations, such as embedded videos. Presenters who wish to run specialized software need to bring their own laptop and any necessary adapter to connect to the VGA cable. Prior to their session, they should inform the session chair and test that their computer and adapter works with the projector in the room. Presenters that would like to use their Apple Mac computer for their presentation must bring their own adapter to connect to the VGA cable or their own cable. Prior to their session, they should inform the session chair and test that their computer and adapter works with the projector in the room. The poster area will be located together with the Exhibition and the Coffee break area at the METROPOLITAN BALLROOM. The poster presentations will be mounted on double sided poster boards with landscape orientation. Each poster presentation will be assigned one side of the board. 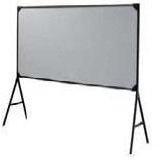 Presenters can mount multiple single sheets of paper, larger posters, pictures, or any printed materials on the boards with push pins which will be available on site.